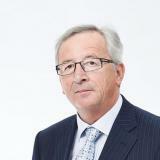 Below is the text of the speech made by Jean-Claude Juncker, the President of the European Commission, on 14 September 2016 in Brussels, Belgium. I stood here a year ago and I told you that the State of our Union was not good. I told you that there is not enough Europe in this Union. And that there is not enough Union in this Union. I am not going to stand here today and tell you that everything is now fine. Let us all be very honest in our diagnosis. Our European Union is, at least in part, in an existential crisis. Over the summer, I listened carefully to Members of this Parliament, to government representatives, to many national Parliamentarians and to the ordinary Europeans who shared their thoughts with me. I have witnessed several decades of EU integration. There were many strong moments. Of course, there were many difficult times too, and times of crisis. But never before have I seen such little common ground between our Member States. So few areas where they agree to work together. Never before have I heard so many leaders speak only of their domestic problems, with Europe mentioned only in passing, if at all. Never before have I seen representatives of the EU institutions setting very different priorities, sometimes in direct opposition to national governments and national Parliaments. It is as if there is almost no intersection between the EU and its national capitals anymore. Never before have I seen national governments so weakened by the forces of populism and paralysed by the risk of defeat in the next elections. Never before have I seen so much fragmentation, and so little commonality in our Union. We now have a very important choice to make. Do we give in to a very natural feeling of frustration? Do we allow ourselves to become collectively depressed? Do we want to let our Union unravel before our eyes? Or do we say: Is this not the time to pull ourselves together? Is this not the time to roll up our sleeves and double, triple our efforts? Is this not the time when Europe needs more determined leadership than ever, rather than politicians abandoning ship? Our reflections on the State of the Union must start with a sense of realism and with great honesty. First of all, we should admit that we have many unresolved problems in Europe. There can be no doubt about this. From high unemployment and social inequality, to mountains of public debt, to the huge challenge of integrating refugees, to the very real threats to our security at home and abroad – every one of Europe’s Member States has been affected by the continuing crises of our times. We are even faced with the unhappy prospect of a member leaving our ranks. Secondly, we should be aware that the world is watching us. I just came back from the G20 meeting in China. Europe occupies 7 chairs at the table of this important global gathering. Despite our big presence, there were more questions than we had common answers to. Will Europe still be able to conclude trade deals and shape economic, social and environmental standards for the world? Will Europe’s economy finally recover or be stuck in low growth and low inflation for the next decade? Will Europe still be a world leader when it comes to the fight for human rights and fundamental values? Will Europe speak up, with one voice, when territorial integrity is under threat, in violation of international law? Or will Europe disappear from the international scene and leave it to others to shape the world? I know that you here in this House would be only too willing to give clear answers to these questions. But we need our words to be followed by joint action. Otherwise, they will be just that: words. And with words alone, you cannot shape international affairs. Thirdly, we should recognise that we cannot solve all our problems with one more speech. Or with one more summit. This is not the United States of America, where the President gives a State of the Union speech to both Houses of Congress, and millions of citizens follow his every word, live on television. In comparison to this, our State of the Union moment here in Europe shows very visibly the incomplete nature of our Union. I am speaking today in front of the European Parliament. And separately, on Friday, I will meet with the national leaders in Bratislava. So my speech can not only compete for your applause, ignoring what national leaders will say on Friday. I also cannot go to Bratislava with a different message than I have for you. I have to take into account both levels of democracy of our Union, which are both equally important. We are not the United States of Europe. Our European Union is much more complex. And ignoring this complexity would be a mistake that would lead us to the wrong solutions. Europe can only work if speeches supporting our common project are not only delivered in this honourable House, but also in the Parliaments of all our Member States. Europe can only work if we all work for unity and commonality, and forget the rivalry between competences and institutions. Only then will Europe be more than the sum of its parts. And only then can Europe be stronger and better than it is today. Only then will leaders of the EU institutions and national governments be able to regain the trust of Europe’s citizens in our common project. Because Europeans are tired of the endless disputes, quarrels and bickering. Europeans want concrete solutions to the very pertinent problem that our Union is facing. And they want more than promises, resolutions and summit conclusions. They have heard and seen these too often. Europeans want common decisions followed by swift and efficient implementation. Yes, we need a vision for the long term. And the Commission will set out such a vision for the future in a White Paper in March 2017, in time for the 60th anniversary of the Treaties of Rome. We will address how to strengthen and reform our Economic and Monetary Union. And we will also take into account the political and democratic challenges our Union of 27 will be facing in the future. And of course, the European Parliament will be closely involved in this process, as will national Parliaments. But a vision alone will not suffice. What our citizens need much more is that someone governs. That someone responds to the challenges of our time. Europe is a cord of many strands – it only works when we are all pulling in the same direction: EU institutions, national governments and national Parliaments alike. And we have to show again that this is possible, in a selected number of areas where common solutions are most urgent. I am therefore proposing a positive agenda of concrete European actions for the next twelve months. Because I believe the next twelve months are decisive if we want to reunite our Union. If we want to overcome the tragic divisions between East and West which have opened up in recent months. If we want to show that we can be fast and decisive on the things that really matter. If we want to show to the world that Europe is still a force capable of joint action. I sent a letter with this message to President Schulz and Prime Minister Fico this morning. a Europe that takes responsibility. 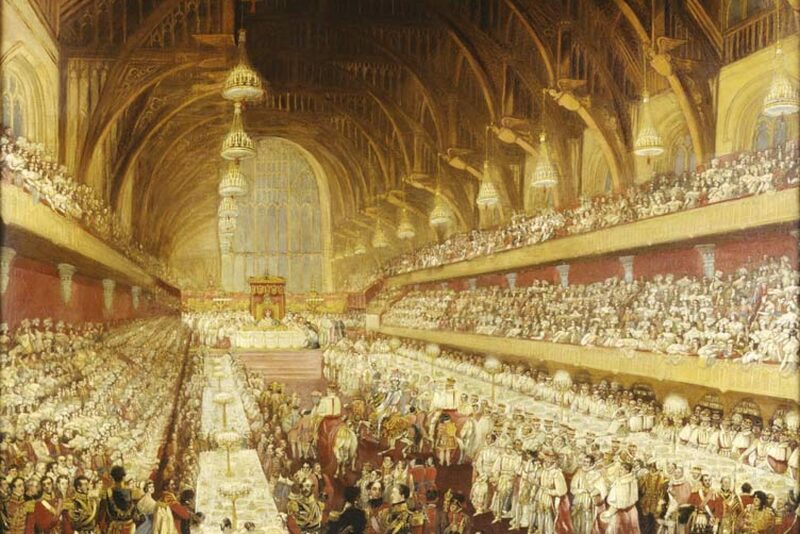 I am convinced the European way of life is something worth preserving. I have the impression that many seem to have forgotten what being European means. What it means to be part of this Union of Europeans – what it is the farmer in Lithuania has in common with the single mother in Zagreb, the nurse in Valetta or the student in Maastricht. To remember why Europe’s nations chose to work together. To remember why crowds celebrated solidarity in the streets of Warsaw on 1 May 2004. To remember why the European flag waved proudly in Puerta del Sol on 1 January 1986. To remember that Europe is a driving force that can help bring about the unification of Cyprus – something I am supporting the two leaders of Cyprus in. Above all, Europe means peace. It is no coincidence that the longest period of peace in written history in Europe started with the formation of the European Communities. 70 years of lasting peace in Europe. In a world with 40 active armed conflicts, which claim the lives of 170,000 people every year. Of course we still have our differences. Yes, we often have controversy. Sometimes we fight. But we fight with words. And we settle our conflicts around the table, not in trenches. An integral part of our European way of life is our values. The values of freedom, democracy, the rule of law. Values fought for on battlefields and soapboxes over centuries. We Europeans can never accept Polish workers being harassed, beaten up or even murdered on the streets of Harlow. The free movement of workers is as much a common European value as our fight against discrimination and racism. We Europeans stand firmly against the death penalty. Because we believe in and respect the value of human life. We Europeans also believe in independent, effective justice systems. Independent courts keep governments, companies and people in check. Effective justice systems support economic growth and defend fundamental rights. That is why Europe promotes and defends the rule of law. Being European also means being open and trading with our neighbours, instead of going to war with them. It means being the world’s biggest trading bloc, with trade agreements in place or under negotiation with over 140 partners across the globe. And trade means jobs – for every €1 billion we get in exports, 14,000 extra jobs are created across the EU. And more than 30 million jobs, 1 in 7 of all jobs in the EU, now depend on exports to the rest of the world. That is why Europe is working to open up markets with Canada – one of our closest partners and one which shares our interests, our values, our respect for the rule of law and our understanding of cultural diversity. The EU-Canada trade agreement is the best and most progressive deal the EU has ever negotiated. And I will work with you and with all Member States to see this agreement ratified as soon as possible. Being European means the right to have your personal data protected by strong, European laws. Because Europeans do not like drones overhead recording their every move, or companies stockpiling their every mouse click. This is why Parliament, Council and Commission agreed in May this year a common European Data Protection Regulation. This is a strong European law that applies to companies wherever they are based and whenever they are processing your data. Because in Europe, privacy matters. This is a question of human dignity. Being European also means a fair playing field. This means that workers should get the same pay for the same work in the same place. This is a question of social justice. And this is why the Commission stands behind our proposal on the Posting of Workers Directive. The internal market is not a place where Eastern European workers can be exploited or subjected to lower social standards. Europe is not the Wild West, but a social market economy. A fair playing field also means that in Europe, consumers are protected against cartels and abuses by powerful companies. And that every company, no matter how big or small, has to pay its taxes where it makes its profits. This goes for giants like Apple too, even if their market value is higher than the GDP of 165 countries in the world. In Europe we do not accept powerful companies getting illegal backroom deals on their taxes. The level of taxation in a country like Ireland is not our issue. Ireland has the sovereign right to set the tax level wherever it wants. But it is not right that one company can evade taxes that could have gone to Irish families and businesses, hospitals and schools. The Commission watches over this fairness. This is the social side of competition law. And this is what Europe stands for. Being European also means a culture that protects our workers and our industries in an increasingly globalised world. Like the thousands who risk losing their jobs in Gosselies in Belgium – it is thanks to EU legislation that the company will now need to engage in a true social dialogue. And workers and local authorities can count on European solidarity and the help of EU funds. Being European also means standing up for our steel industry. We already have 37 anti-dumping and anti-subsidy measures in place to protect our steel industry from unfair competition. But we need to do more, as overproduction in some parts of the world is putting European producers out of business. This is why I was in China twice this year to address the issue of overcapacity. This is also why the Commission has proposed to change the lesser duty rule. The United States imposes a 265% import tariff on Chinese steel, but here in Europe, some governments have for years insisted we reduce tariffs on Chinese steel. I call on all Member States and on this Parliament to support the Commission in strengthening our trade defence instruments. We should not be naïve free traders, but be able to respond as forcefully to dumping as the United States. A strong part of our European way of life that I want to preserve is our agricultural sector. The Commission will always stand by our farmers, particularly when they go through difficult moments as is the case today. Last year, the dairy sector was hit with a ban imposed by Russia. This is why the Commission mobilised €1 billion in support of milk farmers to help them get back on their feet. Because I will not accept that milk is cheaper than water. Being European, for most of us, also means the euro. During the global financial crisis, the euro stayed strong and protected us from even worse instability. The euro is a leading world currency, and it brings huge, often invisible economic benefits. Euro area countries saved €50 billion this year in interest payments, thanks to the European Central Bank’s monetary policy. €50 billion extra that our finance ministers can and should invest into the economy. Mario Draghi is preserving the stability of our currency. And he is making a stronger contribution to jobs and growth than many of our Member States. Yes, we Europeans suffered under a historic financial and debt crisis. But the truth is that while public deficits stood at 6.3% on average in the euro area in 2009, today they are below 2%. Over the last three years, almost 8 million more people found a job. 1 million in Spain alone, a country which continues to show an impressive recovery from the crisis. I wish all this was recalled more often – everywhere in Europe where elected politicians take the floor. Because in our incomplete Union, there is no European leadership that can substitute national leadership. European nations have to defend the rationale for unity. No one can do it for them. We can be united even though we are diverse. The great, democratic nations of Europe must not bend to the winds of populism. Europe must not cower in the face of terrorism. No – Member States must build a Europe that protects. And we, the European institutions, must help them deliver this promise. The European Union should not only preserve our European way of life but empower those living it. We need to work for a Europe that empowers our citizens and our economy. And today, both have gone digital. Digital technologies and digital communications are permeating every aspect of life. All they require is access to high-speed internet. We need to be connected. Our economy needs it. People need it. And we have to invest in that connectivity now. That is why today, the Commission is proposing a reform for our European telecommunications markets. We want to create a new legal framework that attracts and enables investments in connectivity. Businesses should be able to plan their investments in Europe for the next 20 years. Because if we invest in new networks and services, that is at least 1.3 million new jobs over the next decade. That is why today the Commission is proposing to fully deploy 5G, the fifth generation of mobile communication systems, across the European Union by 2025. This has the potential to create a further two million jobs in the EU. Everyone benefiting from connectivity means that it should not matter where you live or how much you earn. So we propose today to equip every European village and every city with free wireless internet access around the main centres of public life by 2020. As the world goes digital, we also have to empower our artists and creators and protect their works.Artists and creators are our crown jewels. The creation of content is not a hobby. It is a profession. And it is part of our European culture. I want journalists, publishers and authors to be paid fairly for their work, whether it is made in studios or living rooms, whether it is disseminated offline or online, whether it is published via a copying machine or hyperlinked on the web. The overhaul of Europe’s copyright rules we are proposing today does exactly that. Empowering our economy means investing not just in connectivity, but in job creation. That is why Europe must invest strongly in its youth, in its jobseekers, in its start-ups. The €315 billion Investment Plan for Europe, which we agreed together here in this House just twelve months ago, has already raised €116 billion in investments – from Latvia to Luxembourg – in its first year of operation. Over 200,000 small firms and start-ups across Europe got loans. And over 100,000 people got new jobs. Thanks to the new European Fund for Strategic Investments I proposed, my Commission developed, and you here in the European Parliament supported and adopted in record time. And now we will take it further. Today, we propose to double the duration of the Fund and double its financial capacity. With your support, we will make sure that our European Investment Fund will provide a total of at least €500 billion – half a trillion – of investments by 2020. And we will work beyond that to reach €630 billion by 2022. Of course, with Member States contributing, we can get there even faster. Alongside these efforts to attract private investment, we also need to create the right environment to invest in. European banks are in much better shape than two years ago, thanks to our joint European efforts. Europe needs its banks. But an economy almost entirely dependent on bank credit is bad for financial stability. It is also bad for business, as we saw during the financial crisis. That is why it is now urgent we accelerate our work on the Capital Markets Union. The Commission is putting a concrete roadmap for this on your table today. A Capital Markets Union will make our financial system more resilient. It will give companies easier and more diversified access to finance. Imagine a Finnish start-up that cannot get a bank loan. Right now, the options are very limited. The Capital Markets Union will offer alternative, vital sources of funding to help start-ups get started – business angels, venture capital, market financing. To just mention one example – almost a year ago we put a proposal on the table that will make it easier for banks to provide loans. It has the potential of freeing up €100 billion of additional finance for EU businesses. So let us please speed up its adoption. Our European Investment Plan worked better than anyone expected inside Europe, and now we are going to take it global. Something many of you and many Member States have called for. Today we are launching an ambitious Investment Plan for Africa and the Neighbourhood which has the potential to raise €44 billion in investments. It can go up to €88 billion if Member States pitch in. The logic is the same that worked well for the internal Investment Plan: we will be using public funding as a guarantee to attract public and private investment to create real jobs. This will complement our development aid and help address one of the root causes of migration. With economic growth in developing countries at its lowest level since 2003, this is crucial. The new Plan will offer lifelines for those who would otherwise be pushed to take dangerous journeys in search of a better life. As much as we invest in improving conditions abroad, we also need to invest in responding to humanitarian crises back home. And, more than anything, we need to invest in our young people. I cannot and will not accept that Europe is and remains the continent of youth unemployment. I cannot and will not accept that the millennials, Generation Y, might be the first generation in 70 years to be poorer than their parents. Of course, this is mainly a task of national governments. But the European Union can support their efforts. We are doing this with the EU Youth Guarantee that was launched three years ago. My Commission enhanced the effectiveness and sped up delivery of the Youth Guarantee. More than 9 million young people have already benefitted from this programme. That is 9 million young people who got a job, traineeship or apprenticeship because of the EU. And we will continue to roll out the Youth Guarantee across Europe, improving the skillset of Europeans and reaching out to the regions and young people most in need. The European Union can also contribute by helping create more opportunities for young people. There are many young, socially-minded people in Europe willing to make a meaningful contribution to society and help show solidarity. Solidarity is the glue that keeps our Union together. The word solidarity appears 16 times in the Treaties which all our Member States agreed and ratified. Our European budget is living proof of financial solidarity. There is impressive solidarity when it comes to jointly applying European sanctions when Russia violates international law. The euro is an expression of solidarity. Our development policy is a strong external sign of solidarity. And when it comes to managing the refugee crisis, we have started to see solidarity. I am convinced much more solidarity is needed. But I also know that solidarity must be given voluntarily. It must come from the heart. It cannot be forced. We often show solidarity most readily when faced with emergencies. When the Portuguese hills were burning, Italian planes doused the flames. When floods cut off the power in Romania, Swedish generators turned the lights back on. When thousands of refugees arrived on Greek shores, Slovakian tents provided shelter. In the same spirit, the Commission is proposing today to set up a European Solidarity Corps. Young people across the EU will be able to volunteer their help where it is needed most, to respond to crisis situations, like the refugee crisis or the recent earthquakes in Italy. I want this European Solidarity Corps up and running by the end of the year. And by 2020, to see the first 100,000 young Europeans taking part. By voluntarily joining the European Solidarity Corps, these young people will be able to develop their skills and get not only work but also invaluable human experience. A Europe that protects is a Europe that defends – at home and abroad. We must defend ourselves against terrorism. Since the Madrid bombing of 2004, there have been more than 30 terrorist attacks in Europe – 14 in the last year alone. More than 600 innocent people died in cities like Paris, Brussels, Nice, or Ansbach. Just as we have stood shoulder to shoulder in grief, so must we stand united in our response. The barbaric acts of the past year have shown us again what we are fighting for – the European way of life. In face of the worst of humanity we have to stay true to our values, to ourselves. And what we are is democratic societies, plural societies, open and tolerant. But that tolerance cannot come at the price of our security. That is why my Commission has prioritised security from day one – we criminalised terrorism and foreign fighters across the EU, we cracked down on the use of firearms and on terrorist financing, we worked with internet companies to get terrorist propaganda offline and we fought radicalisation in Europe’s schools and prisons. We need to know who is crossing our borders. That is why we will defend our borders with the new European Border and Coast Guard, which is now being formalised by Parliament and Council, just nine months after the Commission proposed it. Frontex already has over 600 agents on the ground at the borders with Turkey in Greece and over 100 in Bulgaria. Now, the EU institutions and the Member States should work very closely together to quickly help set up the new Agency. I want to see at least 200 extra border guards and 50 extra vehicles deployed at the Bulgarian external borders as of October. We will defend our borders, as well, with strict controls, adopted by the end of the year, on everyone crossing them. Every time someone enters or exits the EU, there will be a record of when, where and why. By November, we will propose a European Travel Information System – an automated system to determine who will be allowed to travel to Europe. This way we will know who is travelling to Europe before they even get here. And we all need that information. How many times have we heard stories over the last months that the information existed in one database in one country, but it never found its way to the authority in another that could have made the difference? Border security also means that information and intelligence exchange must be prioritised. For this, we will reinforce Europol – our European agency supporting national law enforcement – by giving it better access to databases and more resources. A counter terrorism unit that currently has a staff of 60 cannot provide the necessary 24/7 support. A Europe that protects also defends our interests beyond our borders. The facts are plain: The world is getting bigger. And we are getting smaller. Today we Europeans make up 8% of the world population – we will only represent 5% in 2050. By then you would not see a single EU country among the top world economies. But the EU together? We would still be topping the charts. Our enemies would like us to fragment. Our competitors would benefit from our division. Only together are we and will we remain a force to be reckoned with. Still, even though Europe is proud to be a soft power of global importance, we must not be naïve. Soft power is not enough in our increasingly dangerous neighbourhood. Take the brutal fight over Syria. Its consequences for Europe are immediate. Attacks in our cities by terrorists trained in Daesh camps. But where is the Union, where are its Member States, in negotiations towards a settlement? Federica Mogherini, our High Representative and my Vice-President, is doing a fantastic job. But she needs to become our European Foreign Minister via whom all diplomatic services, of big and small countries alike, pool their forces to achieve leverage in international negotiations. This is why I call today for a European Strategy for Syria. Federica should have a seat at the table when the future of Syria is being discussed. So that Europe can help rebuild a peaceful Syrian nation and a pluralistic, tolerant civil society in Syria. Europe needs to toughen up. Nowhere is this truer than in our defence policy. Europe can no longer afford to piggy-back on the military might of others or let France alone defend its honour in Mali. We have to take responsibility for protecting our interests and the European way of life. Over the last decade, we have engaged in over 30 civilian and military EU missions from Africa to Afghanistan. But without a permanent structure we cannot act effectively. Urgent operations are delayed. We have separate headquarters for parallel missions, even when they happen in the same country or city. It is time we had a single headquarters for these operations. We should also move towards common military assets, in some cases owned by the EU. And, of course, in full complementarity with NATO. The business case is clear. The lack of cooperation in defence matters costs Europe between €25 billion and €100 billion per year, depending on the areas concerned. We could use that money for so much more. It can be done. We are building a multinational fleet of air tankers. Let’s replicate this example. For European defence to be strong, the European defence industry needs to innovate. That is why we will propose before the end of the year a European Defence Fund, to turbo boost research and innovation. The Lisbon Treaty enables those Member States who wish, to pool their defence capabilities in the form of a permanent structured cooperation. I think the time to make use of this possibility is now. And I hope that our meeting at 27 in Bratislava a few days from now will be the first, political step in that direction. Because it is only by working together that Europe will be able to defend itself at home and abroad. The last point I want to make is about responsibility. About taking responsibility for building this Europe that protects. I call on all EU institutions and on all of our Member States to take responsibility. We have to stop with the same old story that success is national, and failure European. Or our common project will not survive. We need to remember the sense of purpose of our Union. I therefore call on each of the 27 leaders making their way to Bratislava to think of three reasons why we need the European Union. Three things they are willing to take responsibility for defending. And that they are willing to deliver swiftly afterwards. Slow delivery on promises made is a phenomenon that more and more risks undermining the Union’s credibility. Take the Paris agreement. We Europeans are the world leaders on climate action. It was Europe that brokered the first-ever legally binding, global climate deal. It was Europe that built the coalition of ambition that made agreement in Paris possible. But Europe is now struggling to show the way and be amongst the first to ratify our agreement. Only France, Austria and Hungary have ratified it so far. I call on all Member States and on this Parliament to do your part in the next weeks, not months. We should be faster. Let’s get the Paris agreement ratified now. It can be done. It is a question of political will. And it is about Europe’s global influence. The European institutions too, have to take responsibility. I have asked each of my Commissioners to be ready to discuss, in the next two weeks, the State of our Union in the national Parliaments of the countries they each know best. Since the beginning of my mandate, my Commissioners have made over 350 visits to national Parliaments. And I want them to do this even more now. Because Europe can only be built with the Member States, never against them. We also have to take responsibility in recognising when some decisions are not for us to take. It is not right that when EU countries cannot decide among themselves whether or not to ban the use of glyphosate in herbicides, the Commission is forced by Parliament and Council to take a decision. So we will change those rules – because that is not democracy. The Commission has to take responsibility by being political, and not technocratic. A political Commission is one that listens to the European Parliament, listens to all Member States, and listens to the people. And it is us listening that motivated my Commission to withdraw 100 proposals in our first two years of office, to present 80% fewer initiatives than over the past 5 years and to launch a thorough review of all existing legislation. Because only by focusing on where Europe can provide real added value and deliver results, we will be able to make Europe a better, more trusted place. Being political is also what allows us to implement the Stability and Growth Pact with common sense. The Pact’s creation was influenced by theory. Its application has become a doctrine for many. And today, the Pact is a dogma for some. In theory, a single decimal point over 60 percent in a country’s debt should be punished. But in reality, you have to look at the reasons for debt. We should try to support and not punish ongoing reform efforts. For this we need responsible politicians. And we will continue to apply the Pact not in a dogmatic manner, but with common sense and with the flexibility that we wisely built into the rules. Finally, taking responsibility also means holding ourselves accountable to voters. That is why we will propose to change the absurd rule that Commissioners have to step down from their functions when they want to run in European elections. The German Chancellor, the Czech, Danish or Estonian, Prime Minister do not stop doing their jobs when they run for re-election. Neither should Commissioners. If we want a Commission that responds to the needs of the real world, we should encourage Commissioners to seek the necessary rendez-vous with democracy. And not prevent this. I am as young as the European project that turns 60 next years in March 2017. I have lived it, worked for it, my whole life. My father believed in Europe because he believed in stability, workers’ rights and social progress. Because he understood all too well that peace in Europe was precious – and fragile. I believe in Europe because my father taught me those same values. But what are we teaching our children now? What will they inherit from us? A Union that unravels in disunity? A Union that has forgotten its past and has no vision for the future? They deserve a Europe that preserves their way of life. They deserve a Europe that empowers and defends them. They deserve a Europe that protects. It is time we – the institutions, the governments, the citizens – all took responsibility for building that Europe. Together.